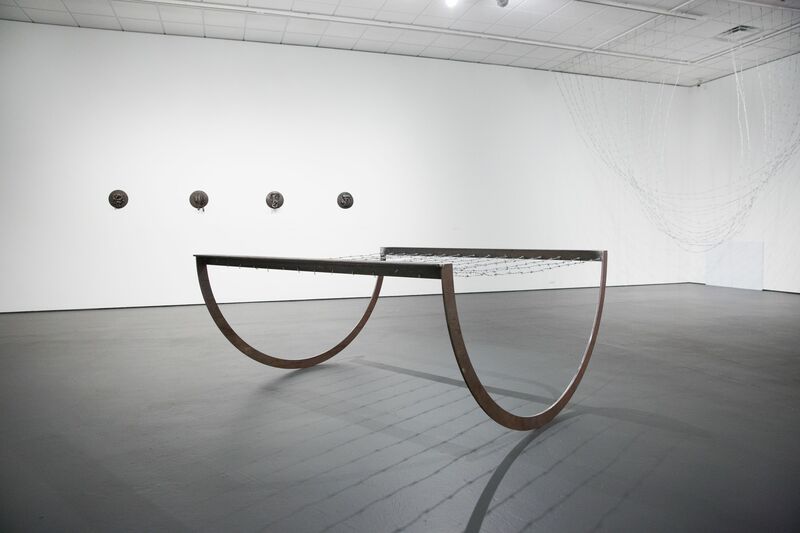 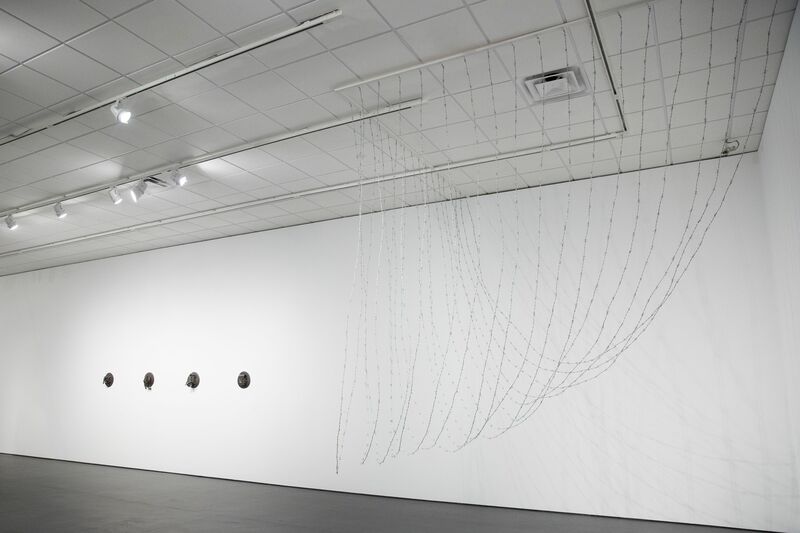 Festivals, Funerals, and New Life includes sculptures, prints, and installations created over four decades. 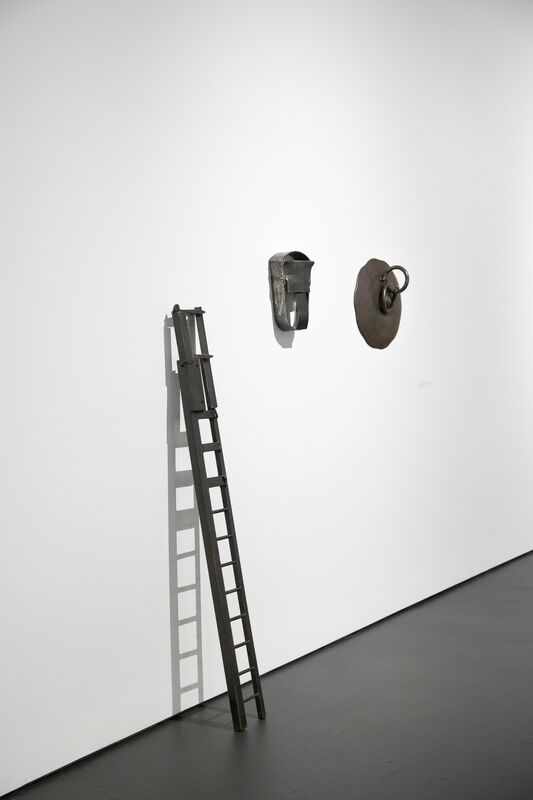 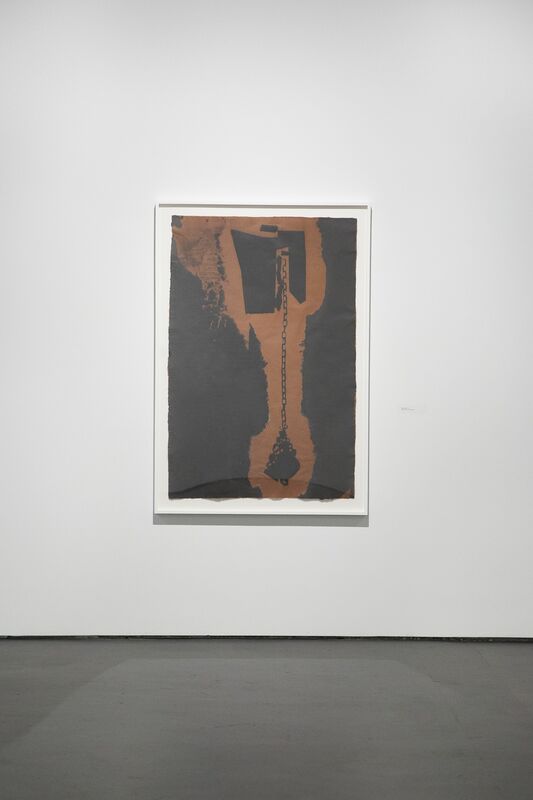 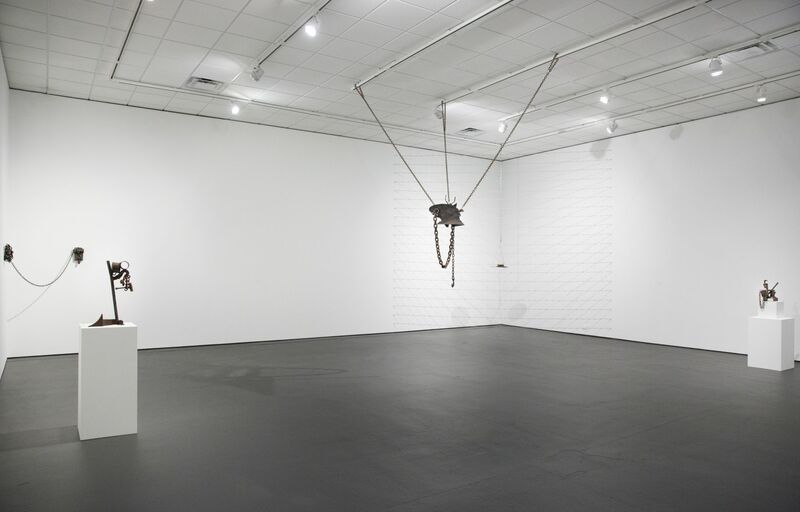 Recent works are consistent with the formal language of Edwards’s iconic and ongoing Lynch Fragments series begun in 1963, speaking to his career-long commitment to themes of African diaspora and Black nationalism. 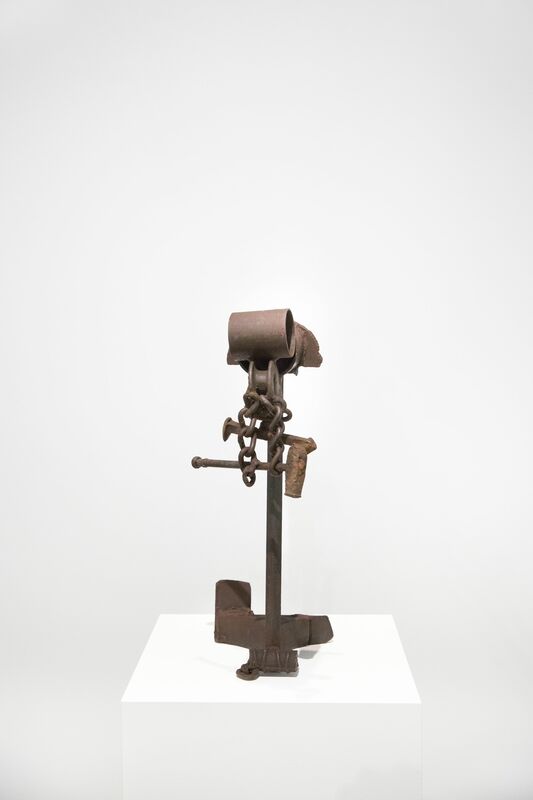 Hung at the artist’s head-height, the welded steel sculpture Homage to Amílcar Cabral (2016) is titled in honor of Amílcar Lopes da Costa Cabral, the successful leader of the Cape Verde and Guinea-Bissau nationalist movement for independence, who was assassinated in 1973. 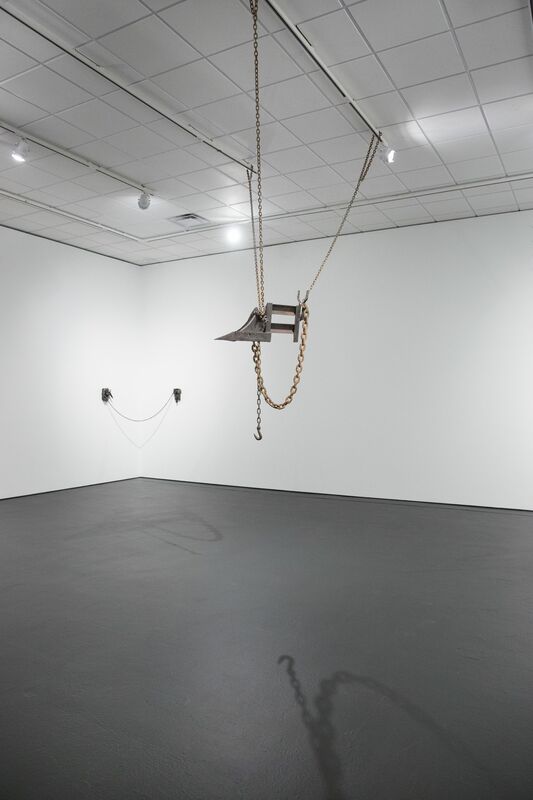 Recent works convey feelings of tension and suspense as historical symbols reverberate. 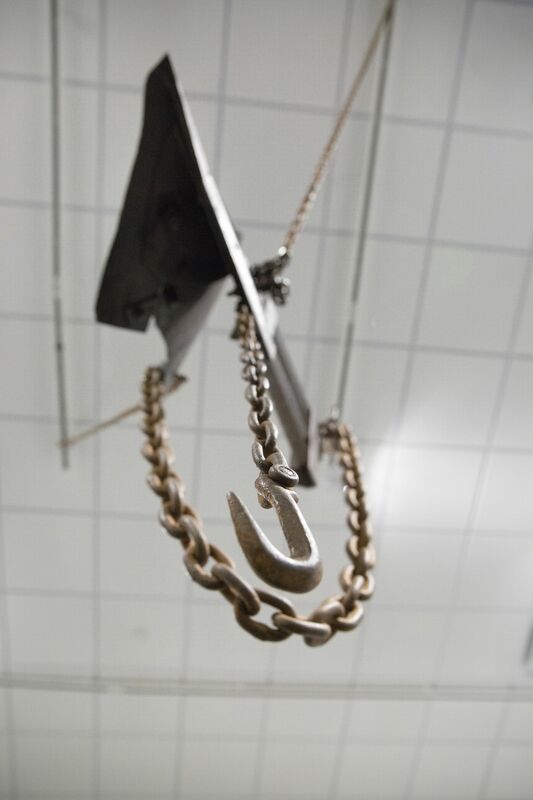 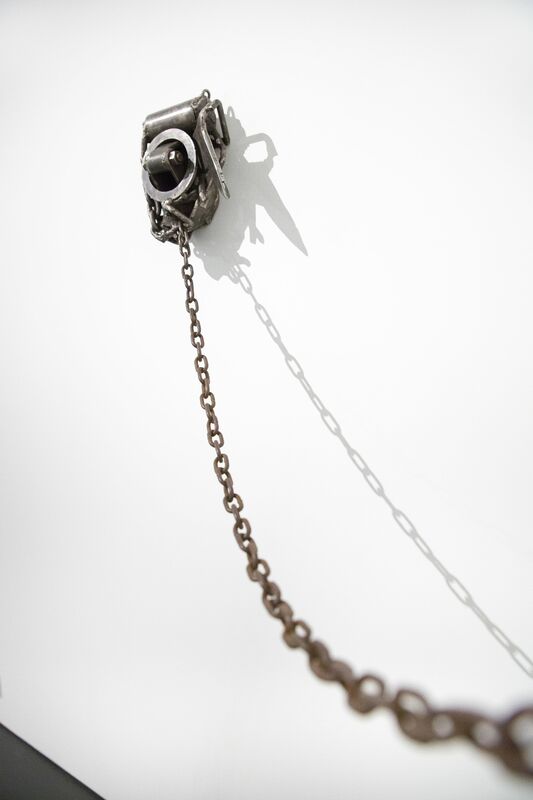 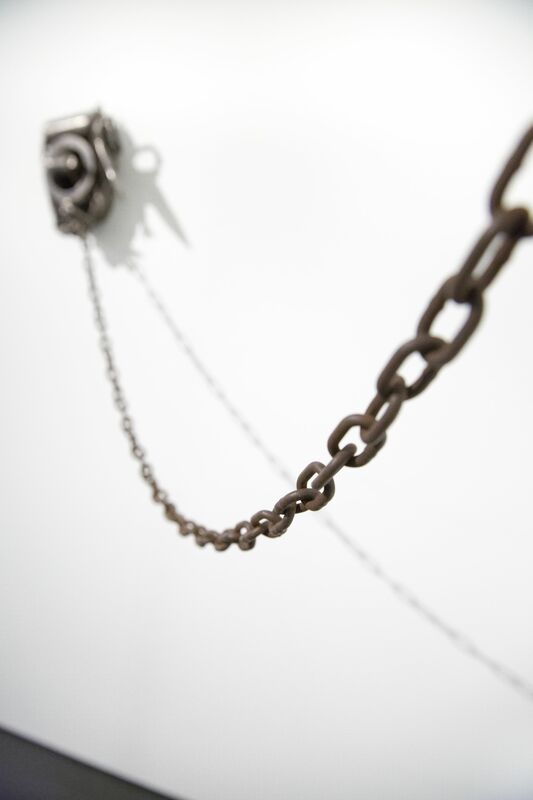 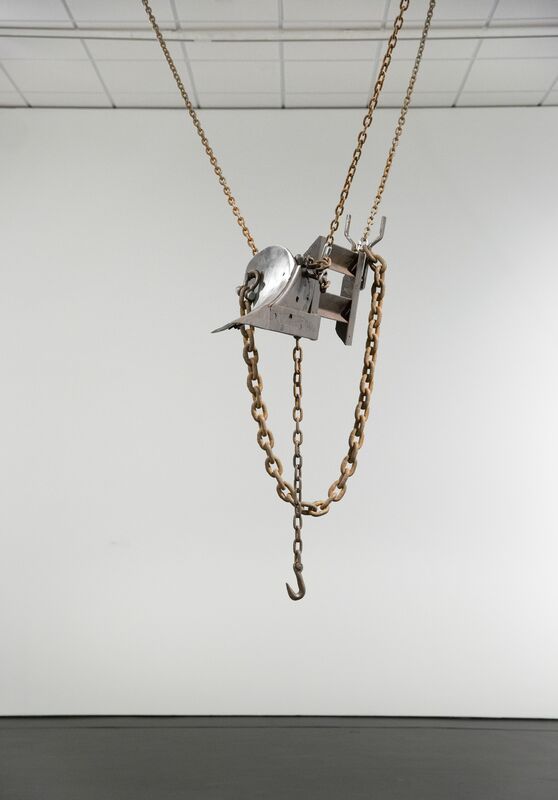 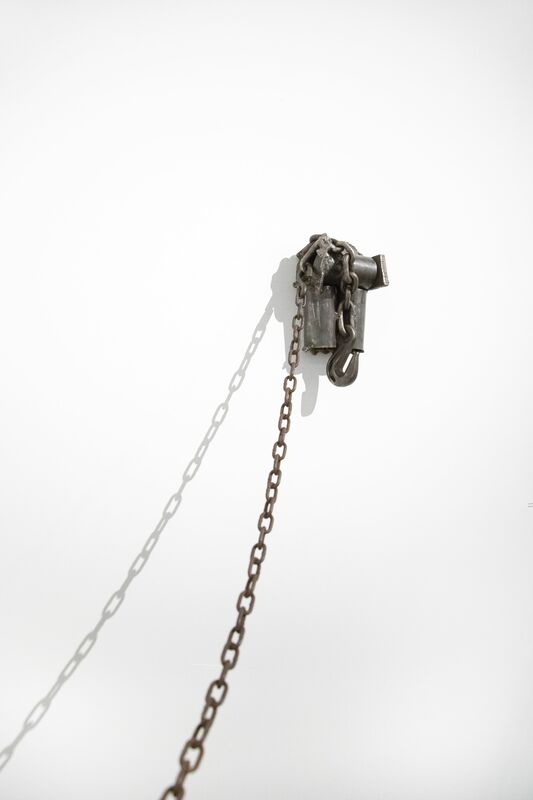 In the handmade paper work Page of History (2016), a tangle of metal hangs by a chain suspended from an abstract, angular form, surrounded by darkness and a rust-red aura. 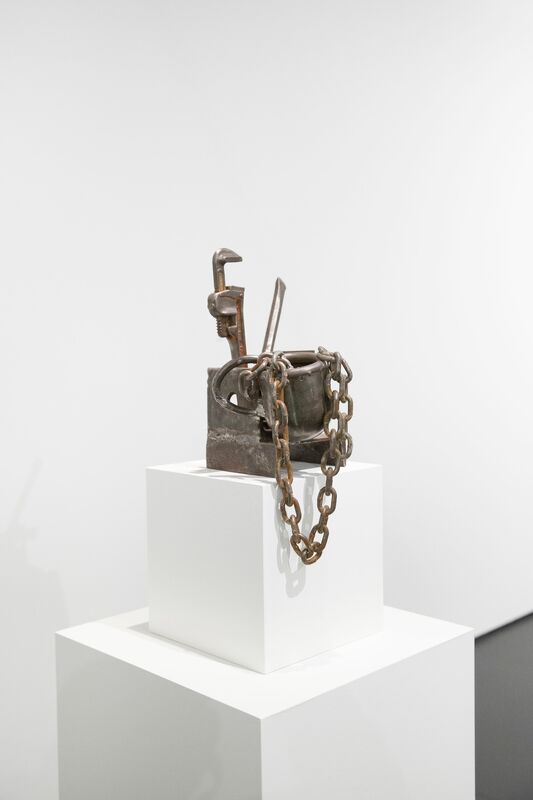 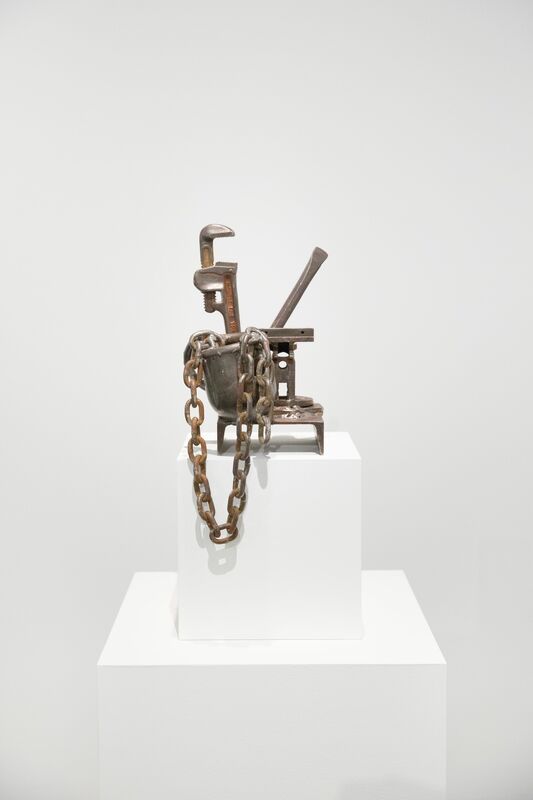 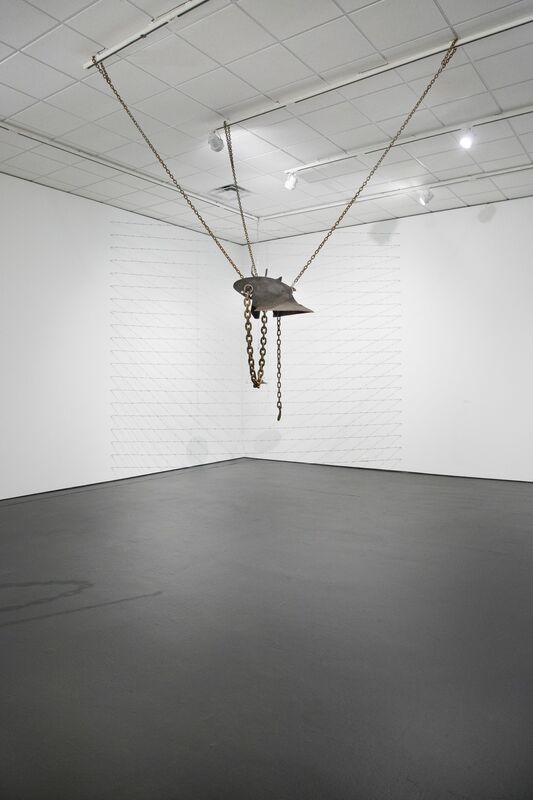 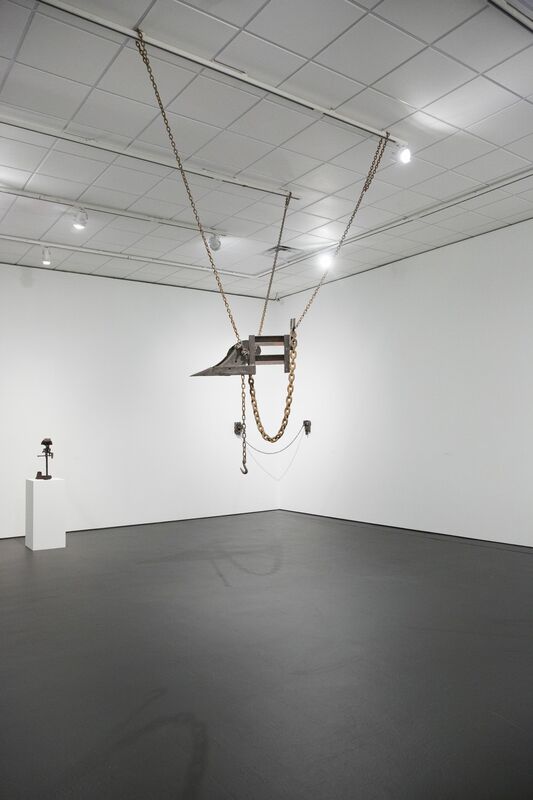 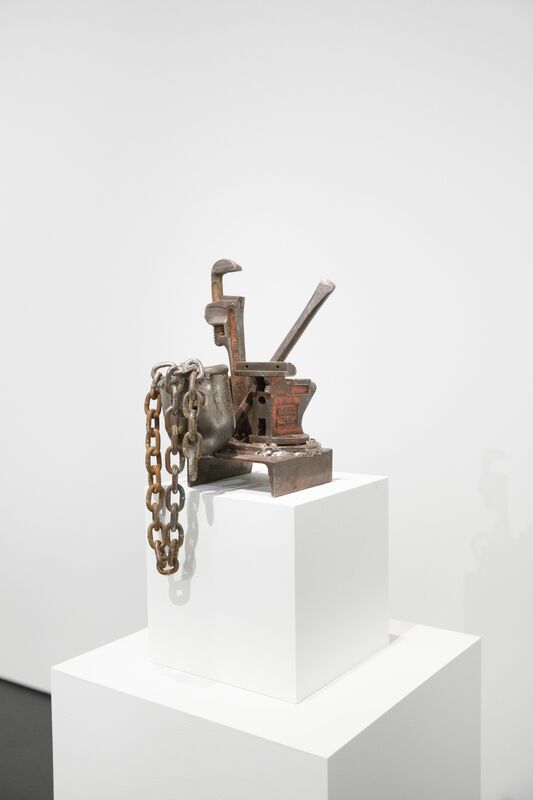 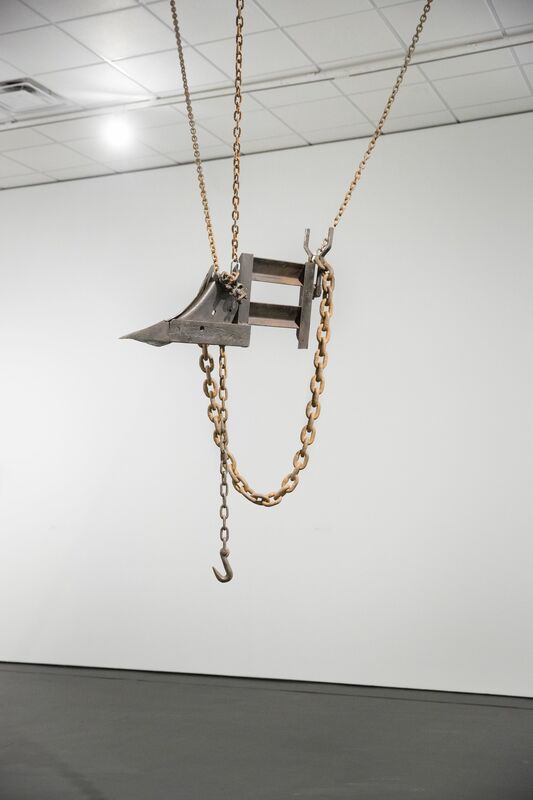 The tension is sustained in the installation of Agricole (2017) — an abstract, welded steel form resembling a cattle catcher suspended from long chains converging at the center of the gallery. 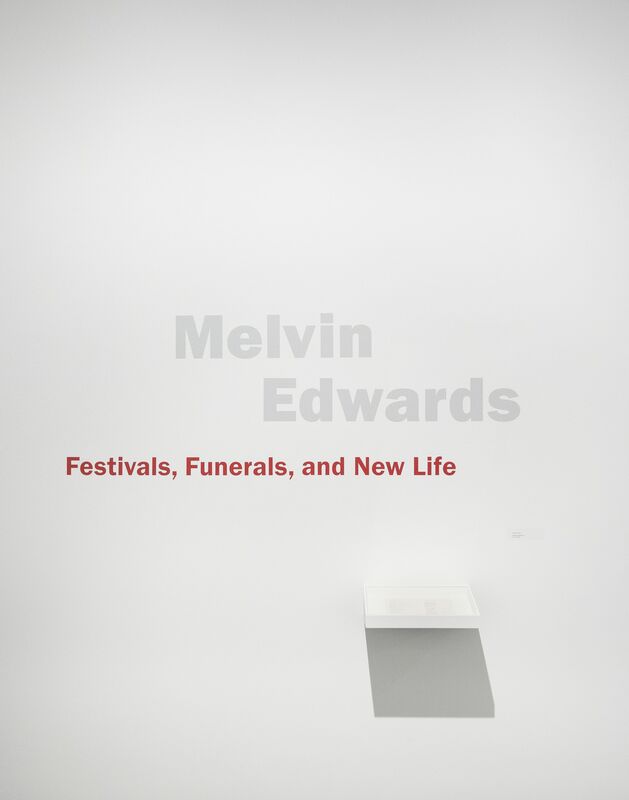 The exhibition title is an elaboration on the title of the book Festivals and Funerals by poet and activist Jayne Cortez, Edwards’s late wife. 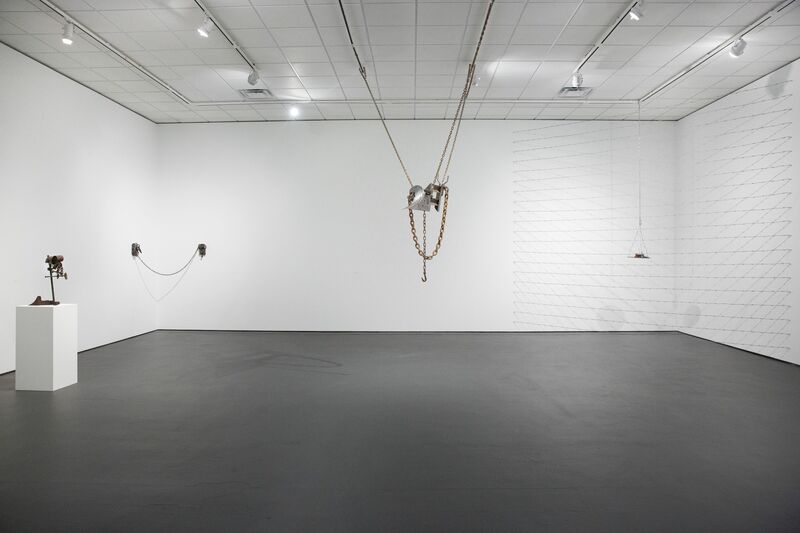 Cortez, who passed in 2012, was a central figure of the Black Arts Movement in the 1960s and 70s. 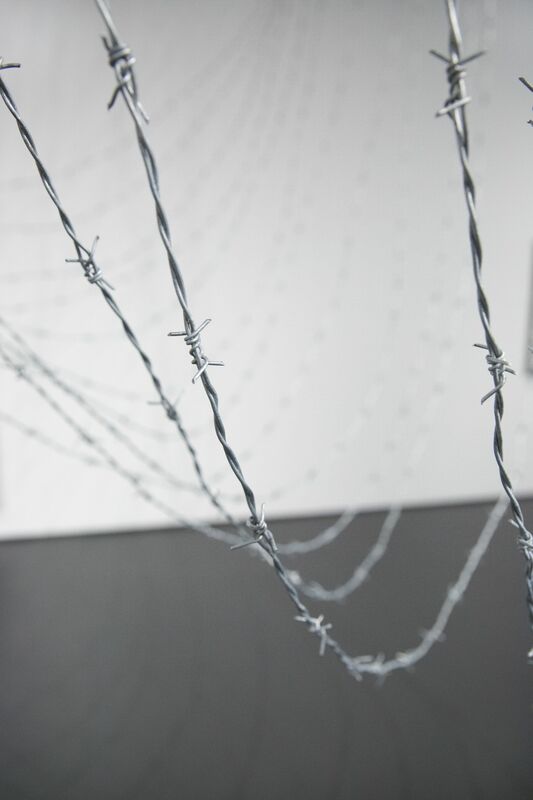 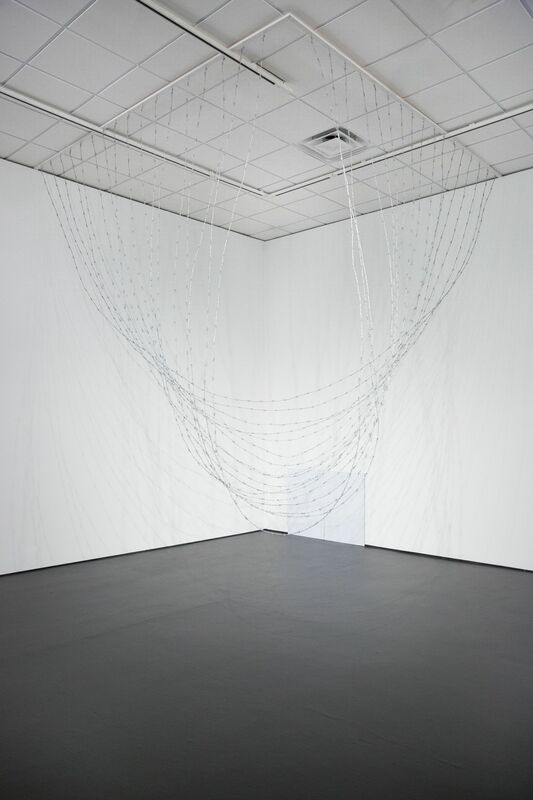 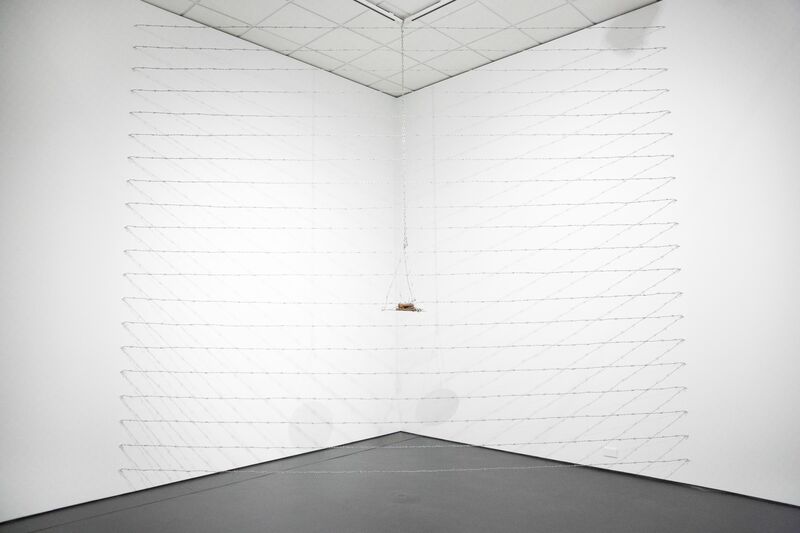 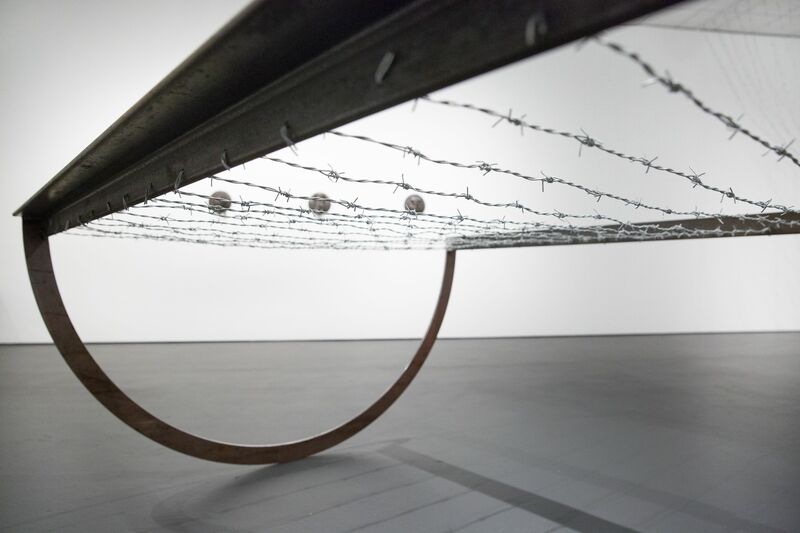 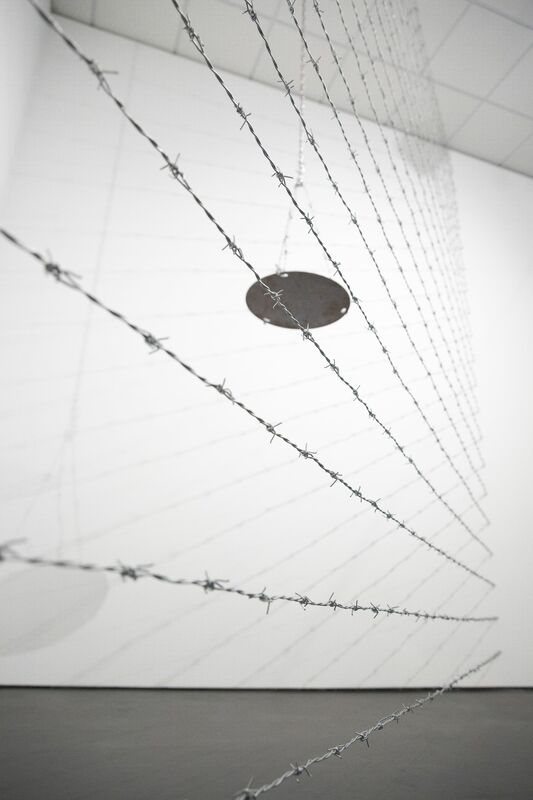 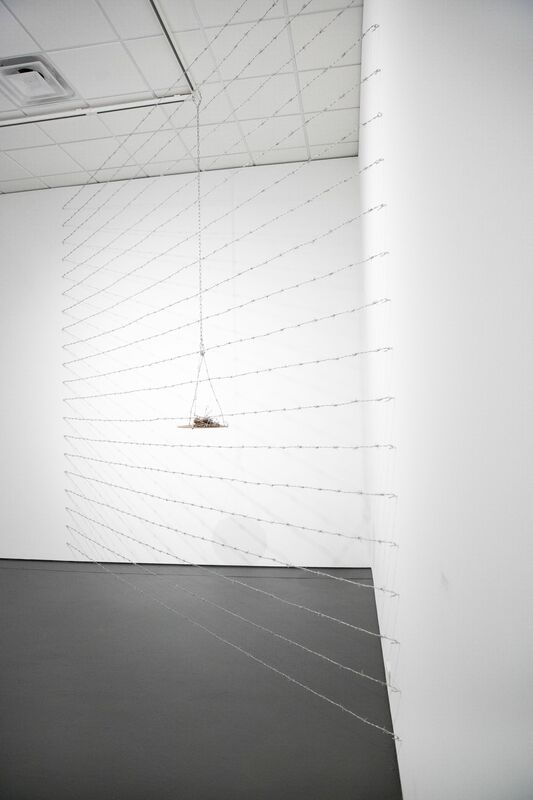 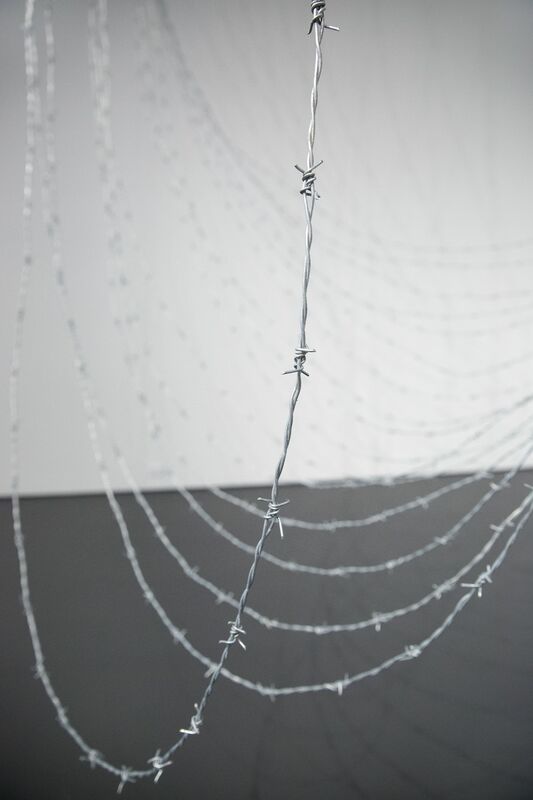 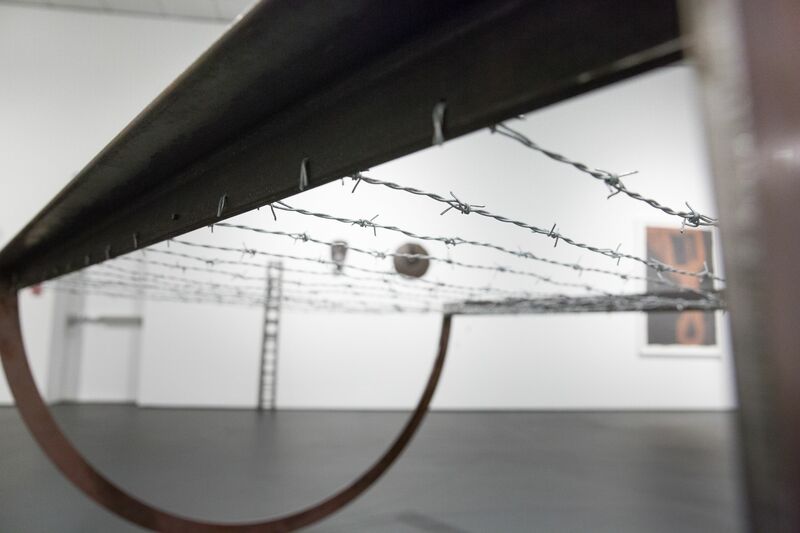 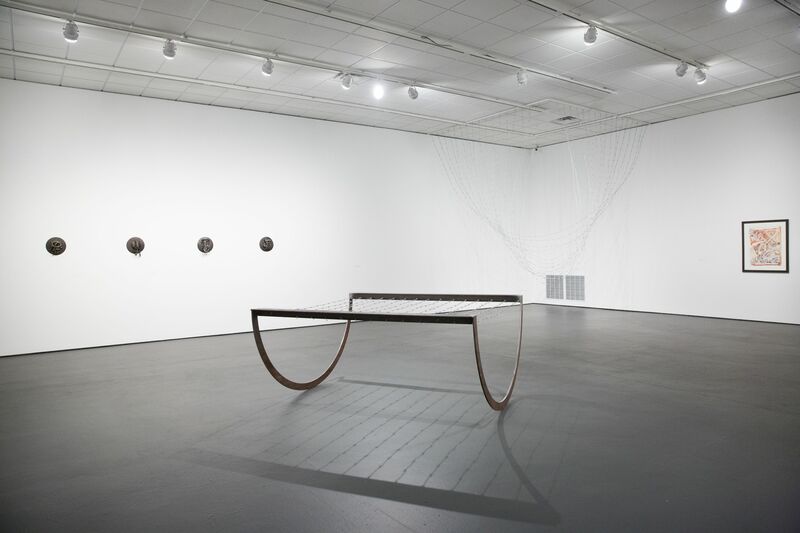 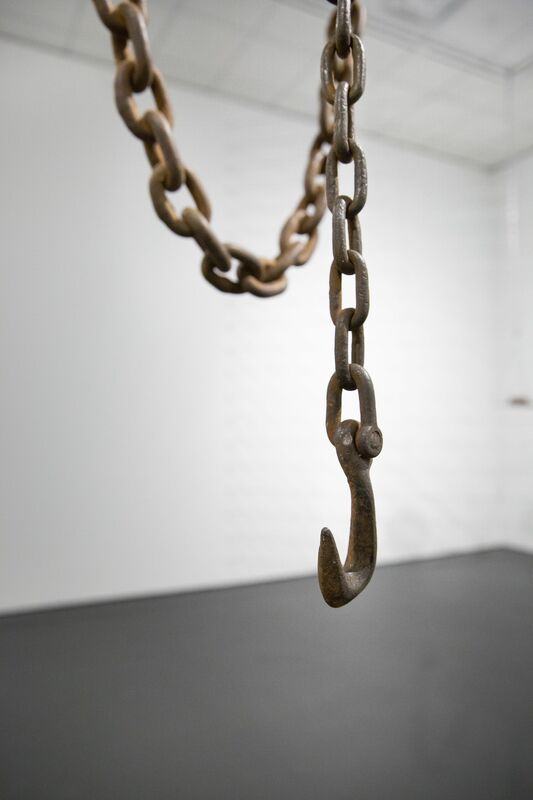 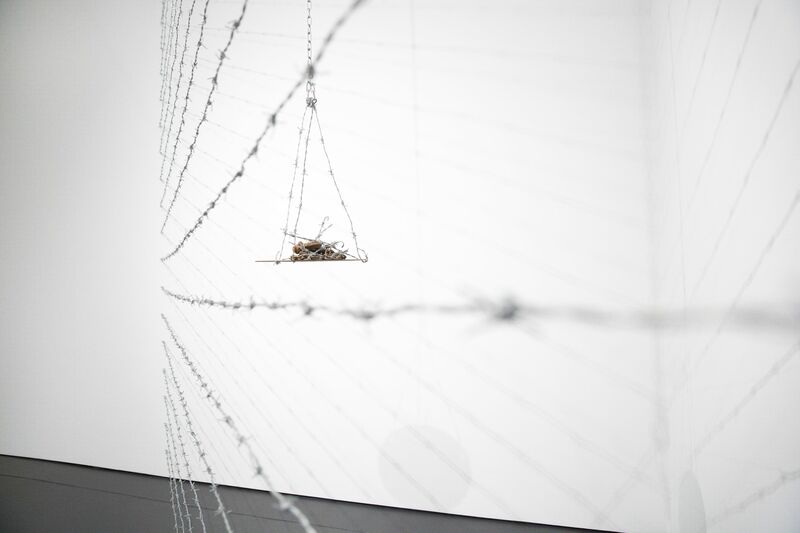 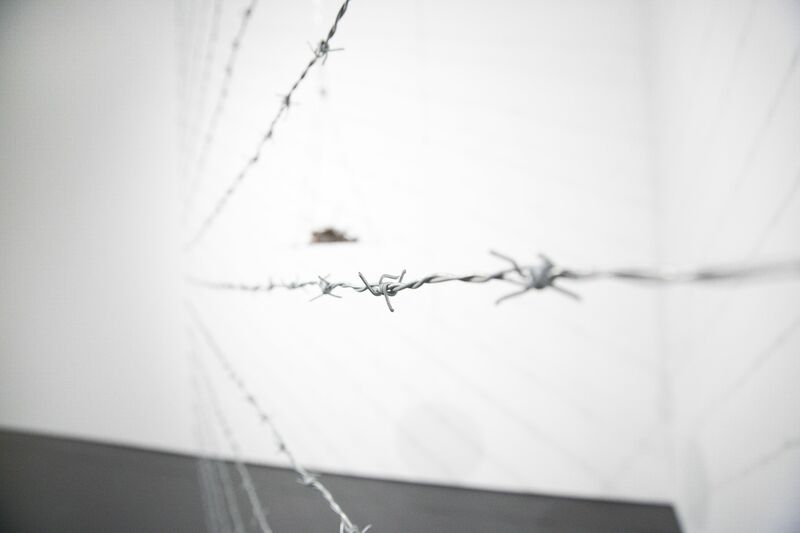 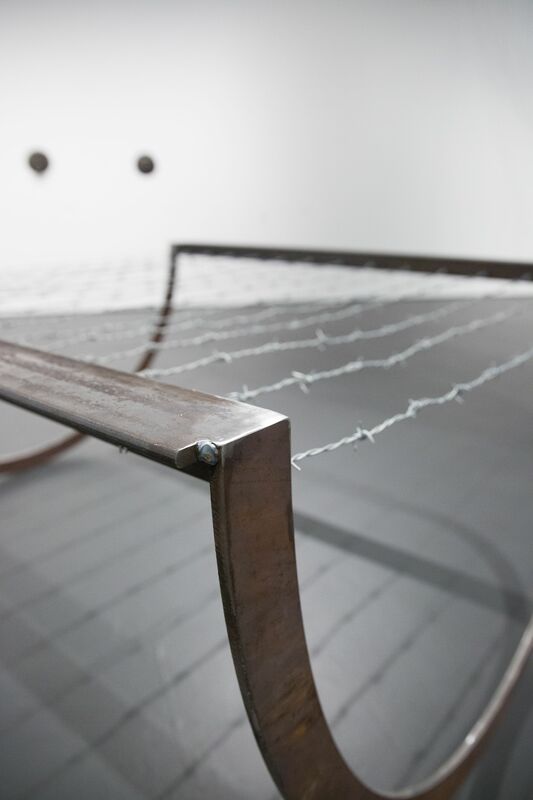 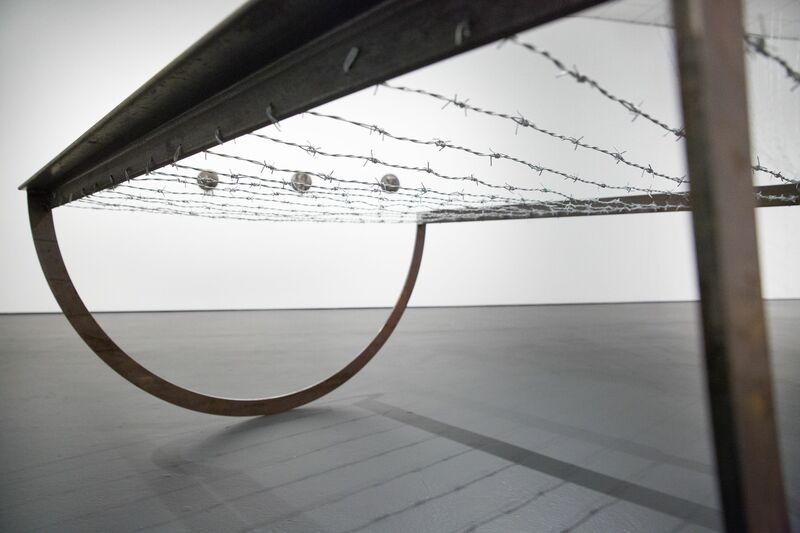 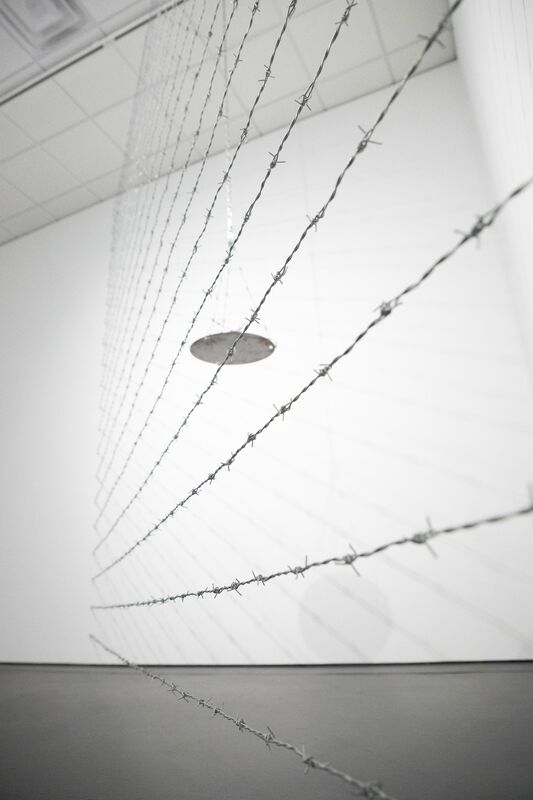 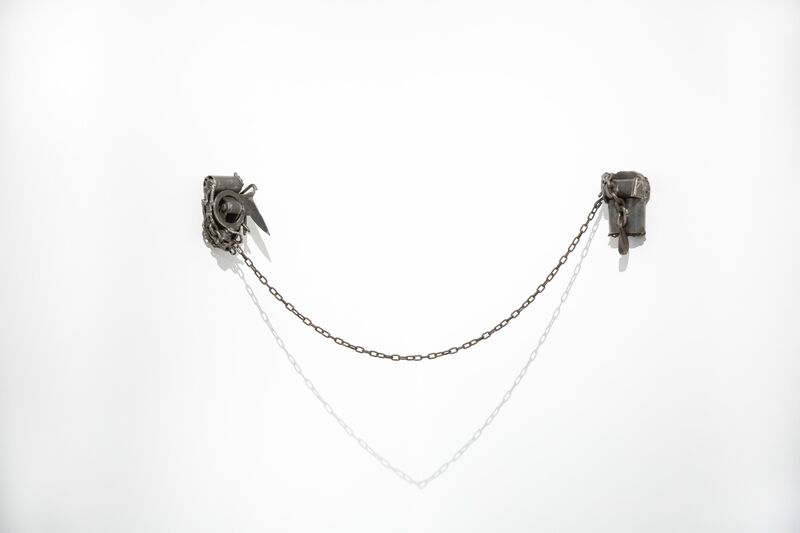 Included in the exhibition, Cortez’s book is accompanied by “Look through minds mirror distance measure time” – Jayne Cortez (1970) a dramatic, hanging barbed-wire installation by Edwards, named after a line of poetry by Cortez. 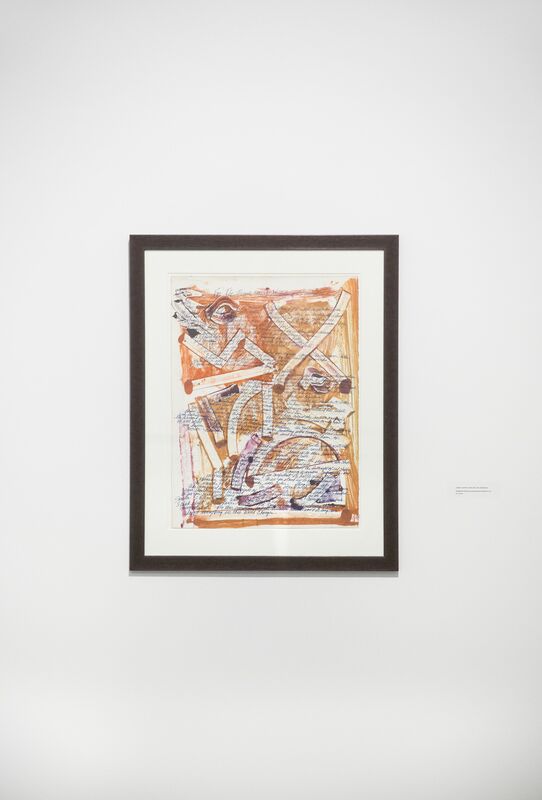 Collaborative works completed by Edwards and Cortez are also included, such as Untitled (For the brave young students in Soweto) (1984) — an abstract monoprint by Edwards overwritten with poetry by Cortez. 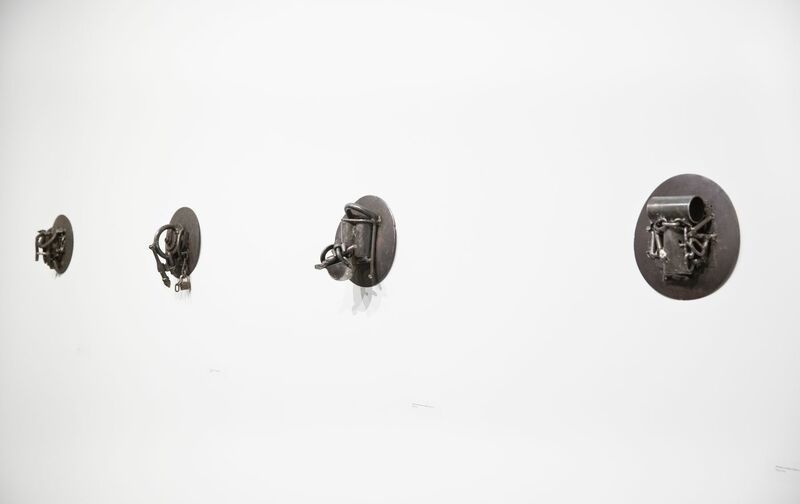 One of Cortez’s last public appearances was at Brown University where she participated in the 2011 Chinua Achebe Colloquium on Africa. 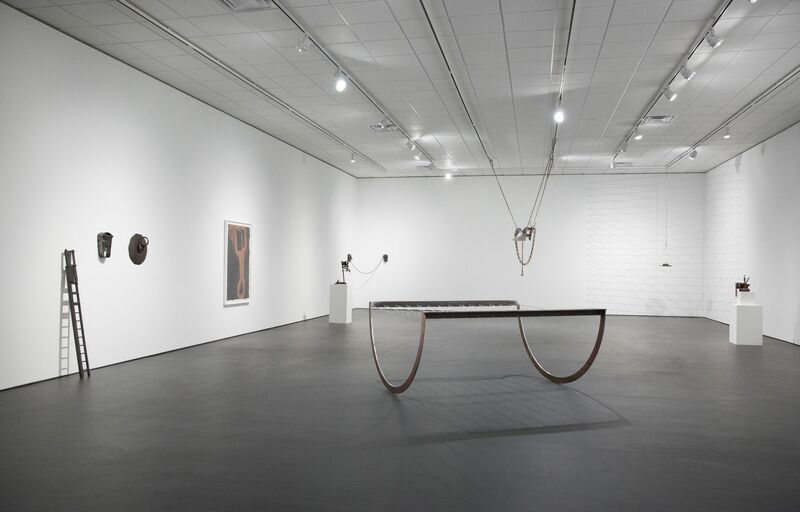 A respected and influential artist, Cortez inspired and propelled Edwards’s work, with the couple enjoying an intimate creative and collaborative relationship throughout their life together. 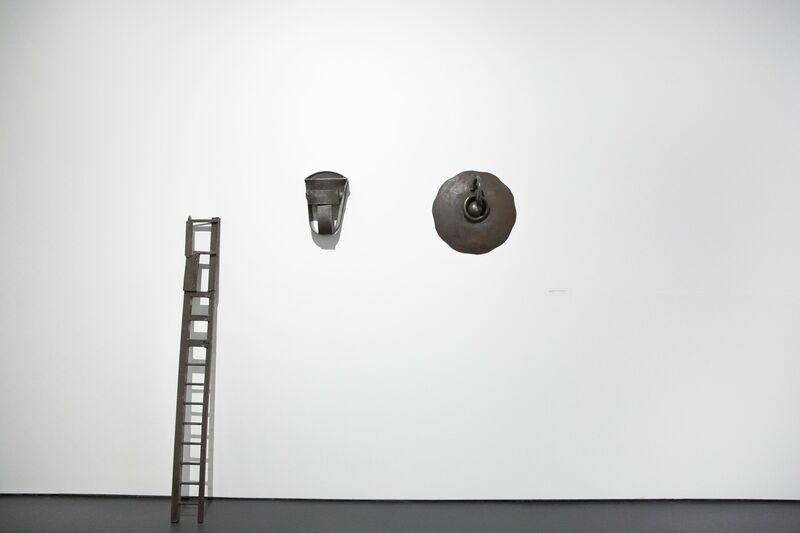 Bringing works to Brown for this exhibition, Edwards commemorates Cortez’s presence within and throughout his artwork as well as her vital contributions to art’s engagement with social justice. 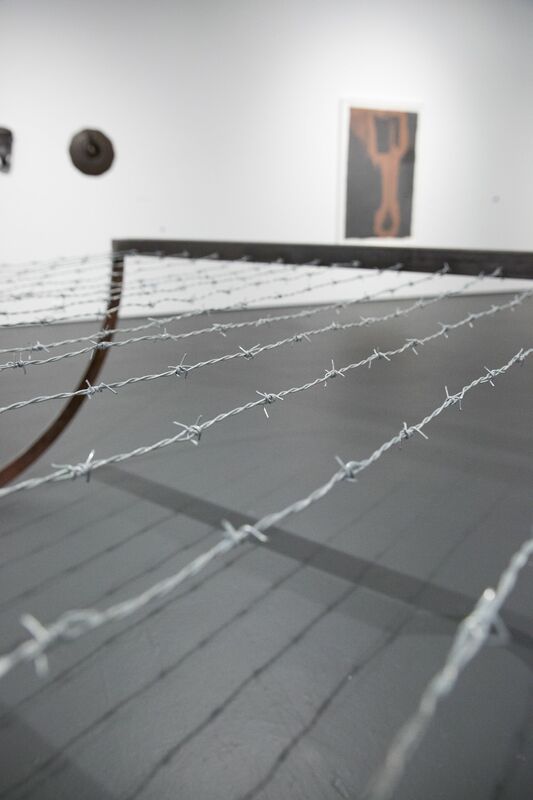 The exhibition and Edwards’s and Cortez’s partnership remind us that while we may stand up and be counted as individuals, our struggles and the outcomes of our creative work are not ours alone. 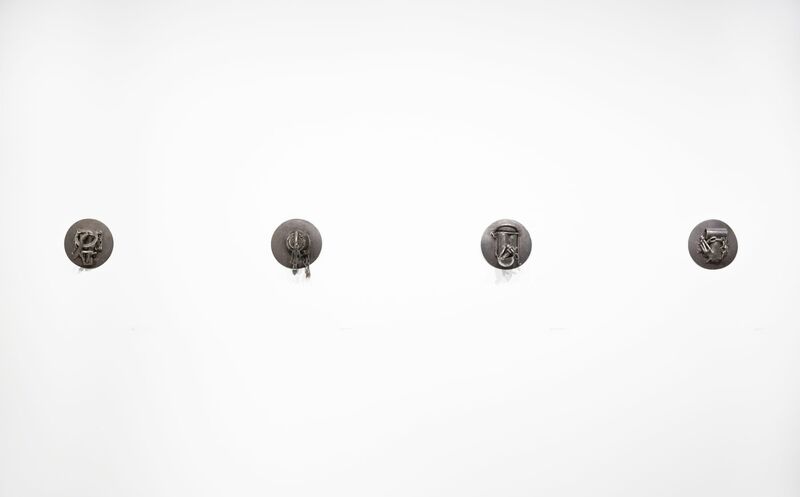 They are shared.